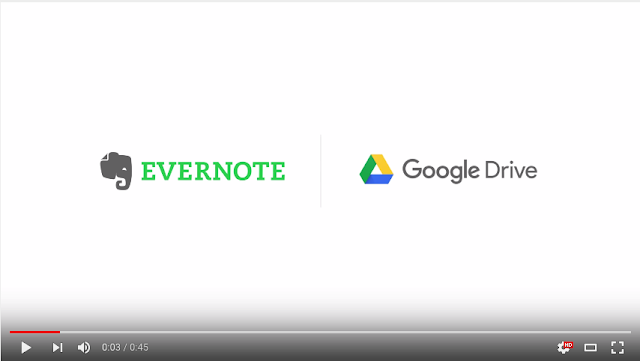 Google announced today its new partnership with the popular note taking platform Evernote. Starting today, Evernote users can now add Drive files right into their Evernote notes. They can also search their Drive content from within Evernote. And to make things easier, Evernote added a handy icon to its toolbar that allows users to quickly access their Drive accounts. This integration with Google Drive means that you can add more context to your notes by adding relevant content from Google Drive such as documents, drawings, images and many more. Being able to capture your ideas is a pretty big deal — after all, you never know which one might become the one. But for an idea to really take shape, it often needs context like research, drawings, documents, and photos. Evernote is a popular tool for capturing ideas and, starting today, you can easily drop any file from Google Drive into Evernote notes to add context.